Alpharetta High School search homes for sale. Search homes for sale in Alpharetta High School District. Find homes for sale in Alpharetta High School district, new homes, luxury homes, townhomes and condos. Alpharetta High School homes for sale. Search the Alpharetta MLS for Alpharetta homes for sale listings that are in the Alpharetta high school district. 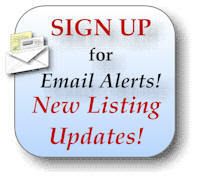 This is a custom homes search created for Alpharetta home buyers looking to buy a home in the Alpharetta HS district. The Alpharetta homes search below to enables you to search the FMLS listings for homes for sale in Alpharetta High School as they are listed in the MLS. This should be welcomed news for the Alpharetta home buyer. However, it is very important that you verify the school boundary lines with Fulton County Board of Education to ensure the schools are located in the school district before you buy a home. School boundaries change all the time. Find homes for sale in Alpharetta high school’s school district. You can also conduct searches for homes for sale by Alpharetta Middle schools and homes for sale by Alpharetta Elementary schools.